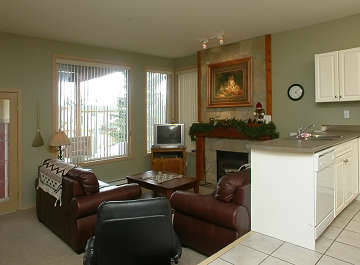 Set in the Snow Pines Estate area of Big White,this spacious two bedroom chalet has ideal ski in/ski out access. Ski out access is either down Snow Pines Road or cut through to the ski back on Lower Snow Pines Road,they both lead you to The Snow Ghost, Ridge Rocket and Plaza chair lifts. 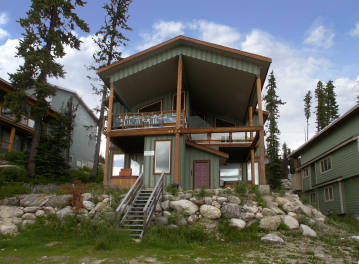 Ski back is from Serwas, run down to Snow Pines Way & along to Snow Pines Road, the Chalet is at the top. 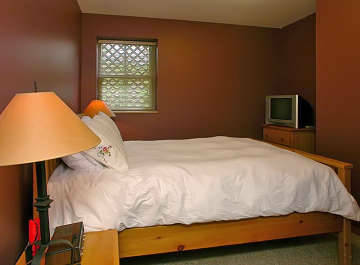 The village is a ten minute walk from the property along a flood lit path. 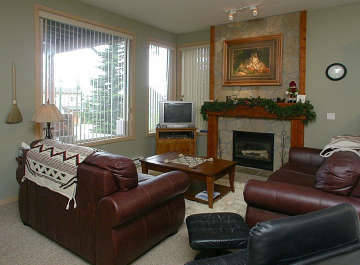 As you enter into the property you are welcomed with heated slate floor and plenty of storage for skis, boards and boots. You then walk through into the open plan living area that is split level. 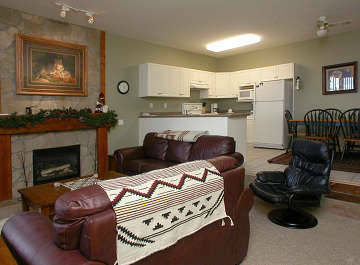 Here there are two sofas, a gas fireplace, TV, DVD/VCR and a stereo. The kitchen is fully equipped and is open plan so you can talk to the other guests whilst preparing the meal. 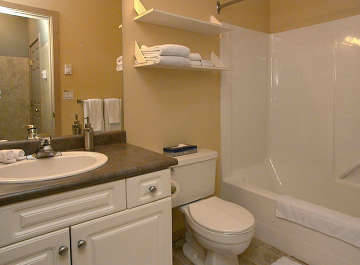 The property has two bathrooms. Parking is off street with enough space for two cars. A hot tub is located next to the front door.